New Orleans native Art Neville put The Meters together in 1967 when he enlisted Joseph Modeliste, George Porter Jr. and Leo Nocentelli to make the band. A quad of definitive singles were released and quickly established the band as forefathers of the funk. “Sophisticated Cissy,” “Cissy Strut,” “Ease Back” and “Look a Py Py” incited people to dance and the first single was also meant to prompt Black men into political action. They have released over a dozen albums between 1969 and 2004 of mostly instrumental music. 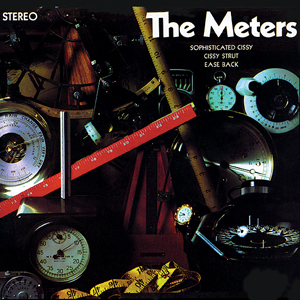 Robert Palmer, Paul McCartney and Patti Labelle have used The Meters as backing musicians. In 1979 the band broke-up and each member went his separate way. Art joined his siblings group The Neville Brothers and had greater success because of their entry into the mainstream. Various Meters reunions have taken place and Art’s son Ian joined the band in 2007 as a guitarist. Hip-hop has sampled the music of The Meters endlessly with the “Hand Clapping Song” being one of their most popularly utilized songs. Despite their considerable influence they remain underground darlings.